I thought this would be a fun series. Stereotypically home decor is largely left up to the ladies, but men have some good ideas too and I think it's time we stepped up. I hope other contributors and guest posters will send in their own Manly Design Tips. 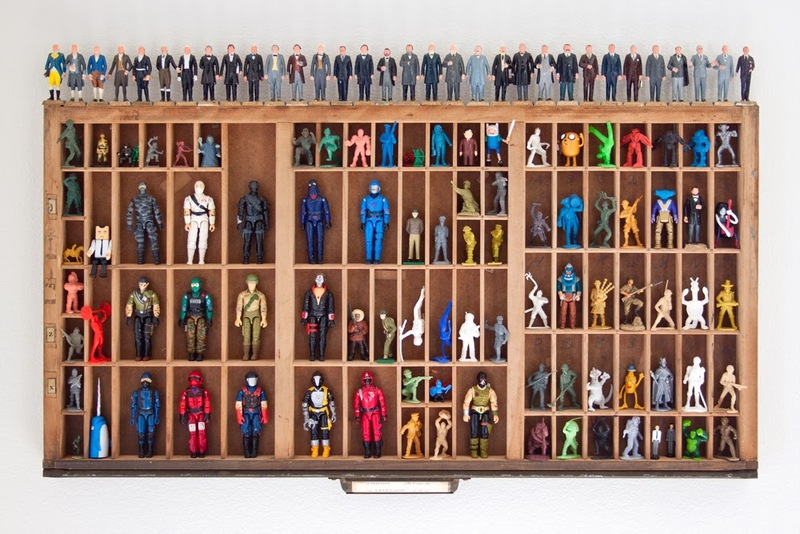 A vintage type drawer filled in with small toy figures—this is hanging on my wall at the bottom of the stairs. I’m sure I’m not the only person who is nostalgic for their childhood toys. This seemed like a good way to make them into an art piece. Type drawers were used by typesetters to store and sort their font letters. You can find them on eBay or sometimes at garage sales. I got this one for $15 from a garage sale that advertised on Craigslist that they’d be selling drawers. 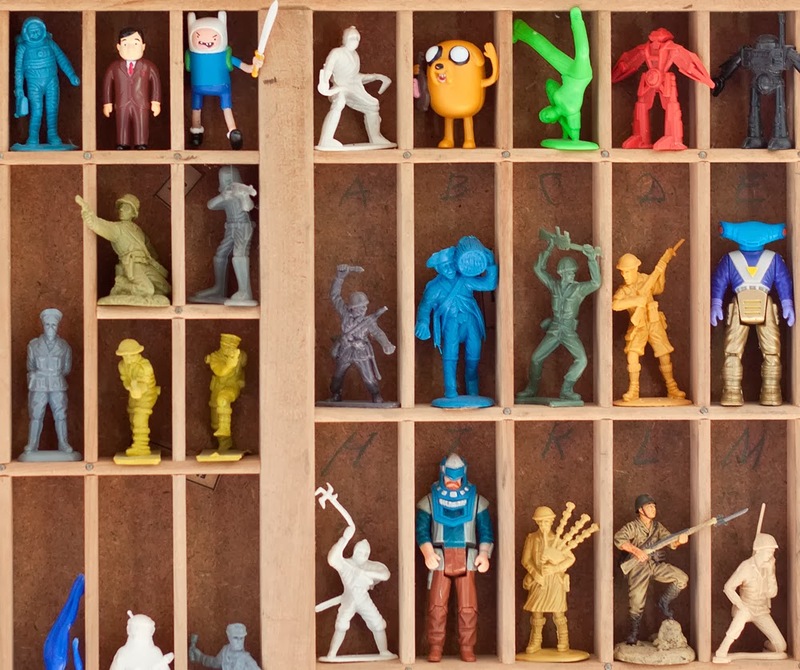 The little compartments are perfect for holding plastic army men. I tried to incorporate a wide variety of figures. I chose to fill the larger slots with G.I. Joe action figures, my favorite toy line growing up. Makes for good conversation and the kids love it.